Annual convention of the Philadelphia Science Fiction Society, the longest-running science fiction fan group in the United States. Runs from Friday afternoon, November 16, 2018 through Sunday afternoon, November 18, 2018. Art Show, Dealers' Room, Many Program Tracks, Autographs (free! ), Masquerade, Con Suite, Gaming, much more. Current Adult Weekend Membership $45; Student Membership (with ID) and Teen 13-17 Membership $25; Child Membership (7-12) $15, Children Under 7 (with accompanying adult) Free. Who are The Incrementalists? Publishers Weekly explains: “In this philosophical and inventive urban fantasy, Brust (the Vlad Taltos series) and White (In Dreams Begin) introduce the eponymous secret society, which has existed for millennia with a startlingly humble mission. The Incrementalists use their 40,000-year collective memories for ‘meddlework’ —identifying people at turning points in history and manipulating them to try to make the world a little better.” Join Steven Brust and Skyler White as they share their infectious literary glee with readers. The Incrementalists is a secret society of two hundred people with an unbroken lineage reaching back forty thousand years. They cheat death, share lives and memories, and communicate with one another across nations, races, and time. They have an epic history, an almost magical memory, and a very modest mission: to make the world better, just a little bit at a time. Their ongoing argument about how to do this is older than most of their individual memories. 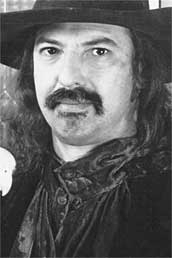 Steven Brust is an American fantasy and science fiction author born in Minnesota in 1955. He is best known for the multi-volume, New York Times-bestselling Vlad Taltos adventure fantasy series beginning with Jhereg. Also, the bestselling author of Dragon, Issola, and the New York Times bestselling Dzur, among many others. Brust is also a songwriter and musician who has served as a drummer in several working ensembles, most notably the Minneapolis group Cats Laughing. Brust has also released a solo album, A Rose for Iconoclastes, consisting primarily of his own songs. SKYLER WHITE has a master’s degree in theater and work experience in advertising, has won awards as a stage director and appeared on reality TV. White crafts challenging fiction for a changing world. Populated with angels and rock stars, scientists, demons and revolutionaries, her dark stories explore the secret places where myth and modernity collide. She is mother to a tall red-headed athlete and a short blond Lego master, married to a Mohawk-wearing inventor, and lives in Texas. Thank you for supporting Steven Brusts, Skyler White and your local independent bookstore! Steven Brust is currently considered a "single author." If one or more works are by a distinct, homonymous authors, go ahead and split the author. Steven Brust is composed of 10 names. You can examine and separate out names.